Teclab's commitment to environmental sustainability begins with an energy efficient manufacturing process. One that keeps waste to a minimum and an emphasis on recycling. Starting with recycled steel as a raw material and using solvent free powder coatings, Teclab seeks the most environmentally responsible manufacturing process available. Our long product life cycle not only gives our customers excellent value but also lessens our impact on the environment. Here are some other ways Teclab has gone green. Steel is the most recycled material on the planet. Heavy-duty cold rolled steel is used throughout every Teclab product. All scrap steel is collected during production and recycled. Steel production, based on recycling, uses less energy and material resources. Many Teclab items are available in Stainless Steel. 50% of new stainless steel comes from re-melted stainless steel scrap. Stainless Steel products can be fully recycled after a useful life. Teclab exclusively uses PROTECH Powder Coatings. A very tough hybrid powder coating that's chemical resistant and also has a degree of UV light protection. Also designed and manufactured taking steps to reduce environmental impact. Uses no solvents or thinners. Overspray powder can be recovered and used. 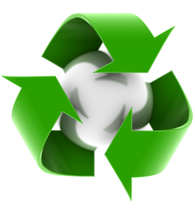 Our packaging is designed to utilize a variety of renewable, reusable, and environmentally safe materials. Packaging is made using paper certified FSC. Product shipped from a single location keeping environmental impact to a minimum. Teclab composite bench tops are third-party certified CARB Phase 1 compliant. Where applicable, tops are manufactured using at least 50% CPA EEP certified composite wood materials. Select composite tops use raw materials from GREENGUARD certified suppliers. Tec-Resin Epoxy work surfaces from ISO 9001-2000 certified manufacturer.